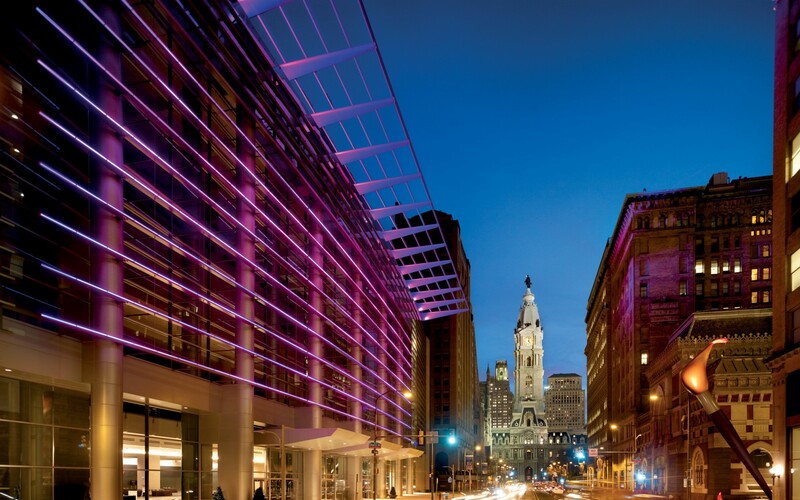 When the newly expanded Pennsylvania Convention Center opened in March 2011, it featured color-changing LBX fixtures installed on the open canopy above the Broad Street façade. 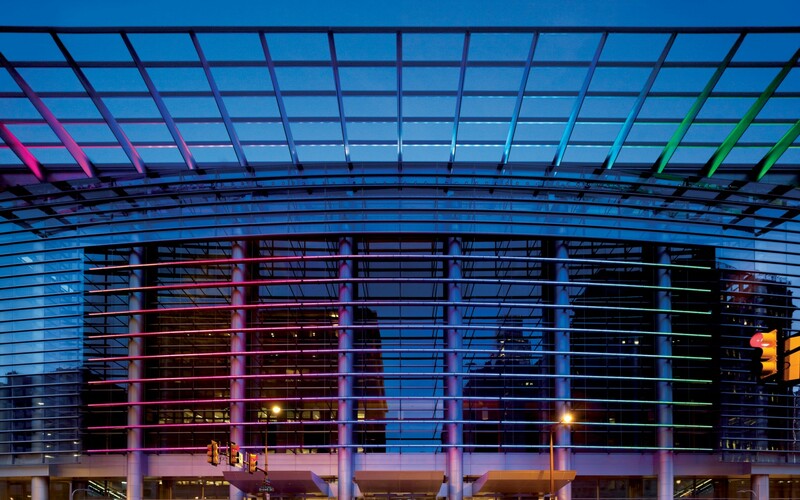 Following years of planning and construction, the $786 million expansion to the Pennsylvania Convention Center opened in March 2011. 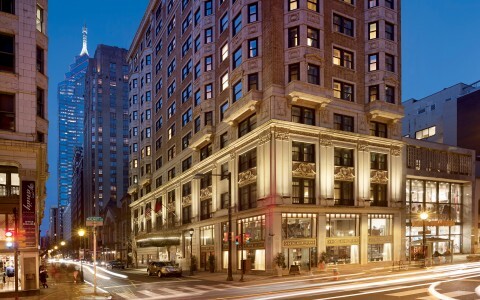 As a result, the downtown Philadelphia building now has enough capacity to host two major conferences simultaneously. 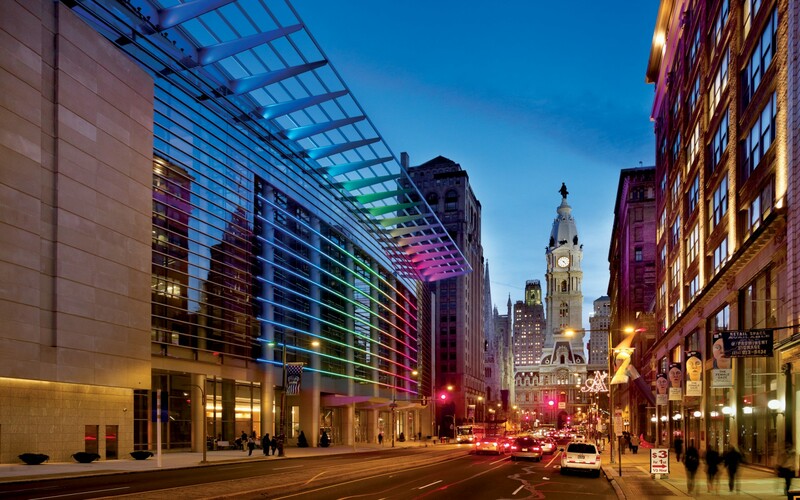 Atop the curved four-level Broad Street façade is an open canopy grid extending over the sidewalk that Center management hoped would, in concert with color-changing horizontal illuminated LED bands, convey the Center's new urban image. 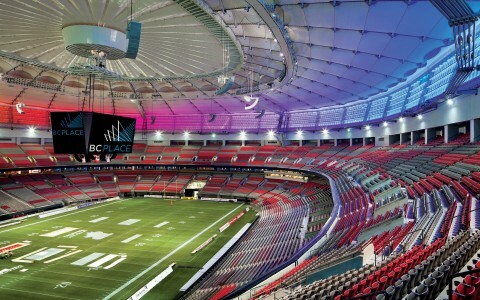 Many of the 90 fixtures originally installed by a supplier no longer in existence failed because of water ingress. 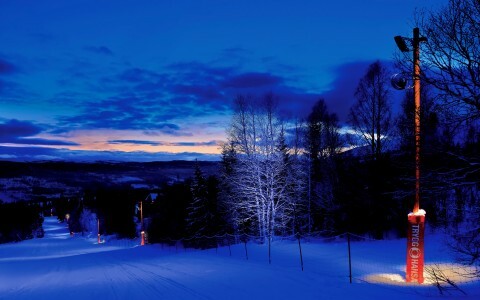 The Lighting Practice (TLP) was called upon to solve this issue, and to specify reliable, high-quality illumination. 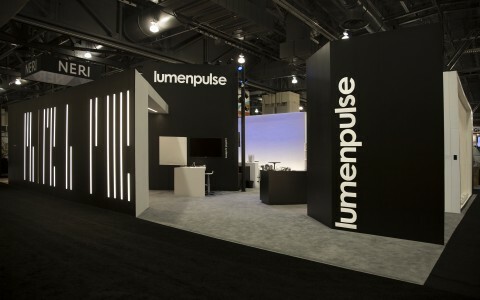 "We turned to Lumenpulse since they had previously provided fixtures with proven performance advantages for several of our other projects," says Stephen Hoppe, TLP project designer. 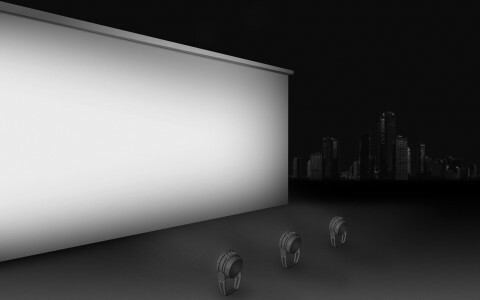 Hoppe specified the Lumenbeam Large Color Changing, a 50-watt projector that is rated for a lifetime of 120,000 hours (L70). 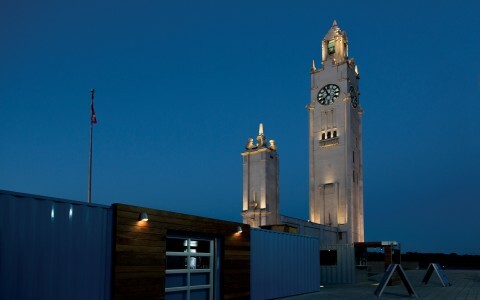 "Most of the mounting infrastructure on the face of a 14"x4" steel beam was re-used and the Lumenbeams were installed one-for-one to replace the existing fixtures," he says. 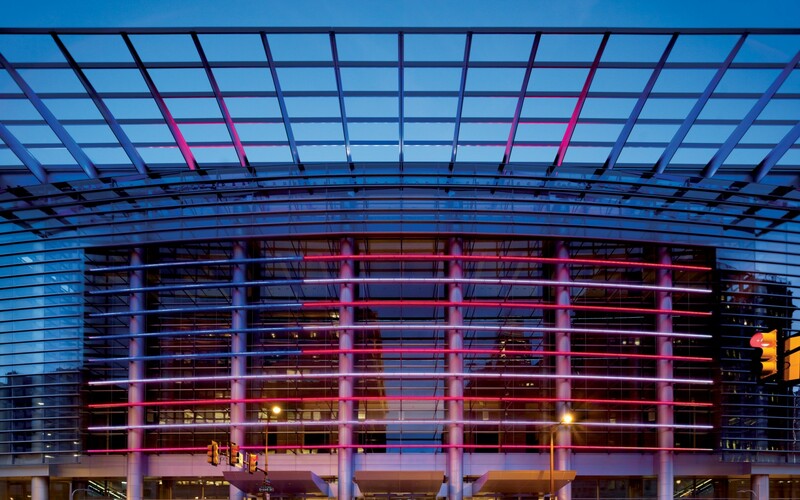 "We knew that Lumenpulse's lensing was tightly sealed and had been successfully installed in many exterior applications." 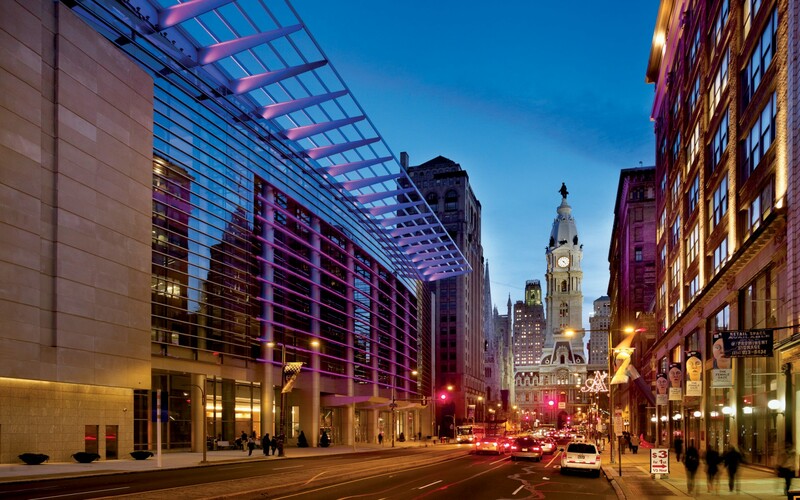 The installation went smoothly and Lumenpulse also provided a visor that is attached to the outside of the fixture. 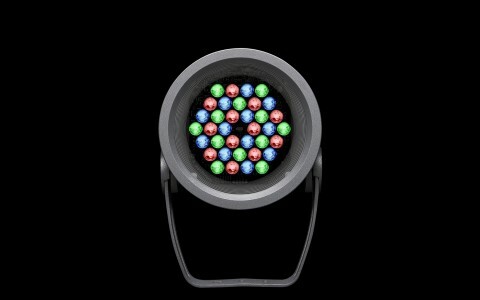 The same DMX addresses were used so that no programming changes were needed for the software. 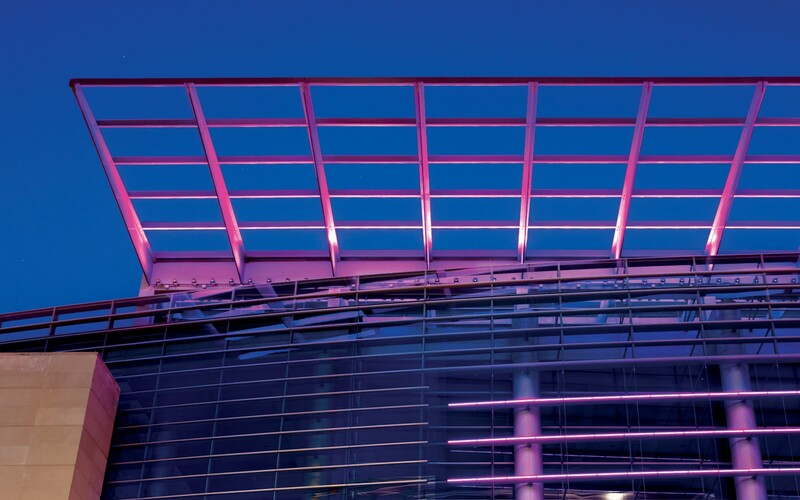 Hoppe indicates that the Lumenbeam replacement fixture provides 1,139 lumens with a 40-degree beam at 50 watts, approximately 3.5 times more efficient than the previous fixtures. "This makes the canopy a lot brighter and the coverage much fuller," he adds. 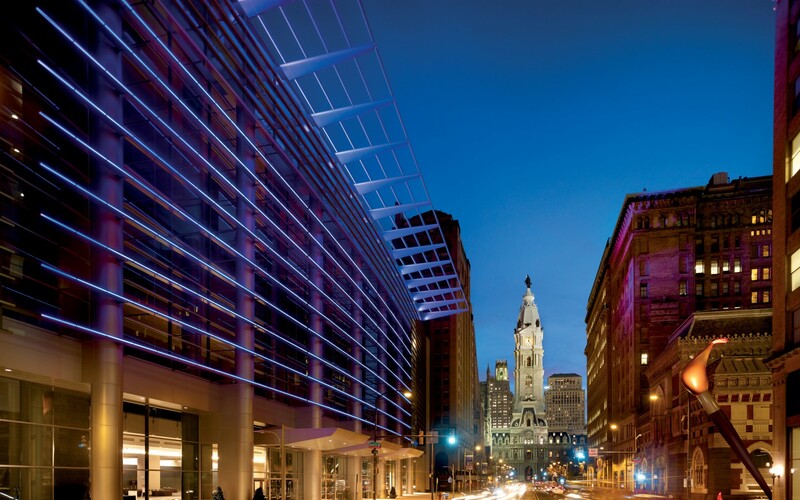 The illuminated canopy also satisfies another of the Center's management objectives: to represent the Convention Center's visual link to the neighboring Pennsylvania Academy of Fine Arts masterpiece building across Broad Street, and the city's Museum Row along the Benjamin Franklin Parkway, a few blocks to the West. 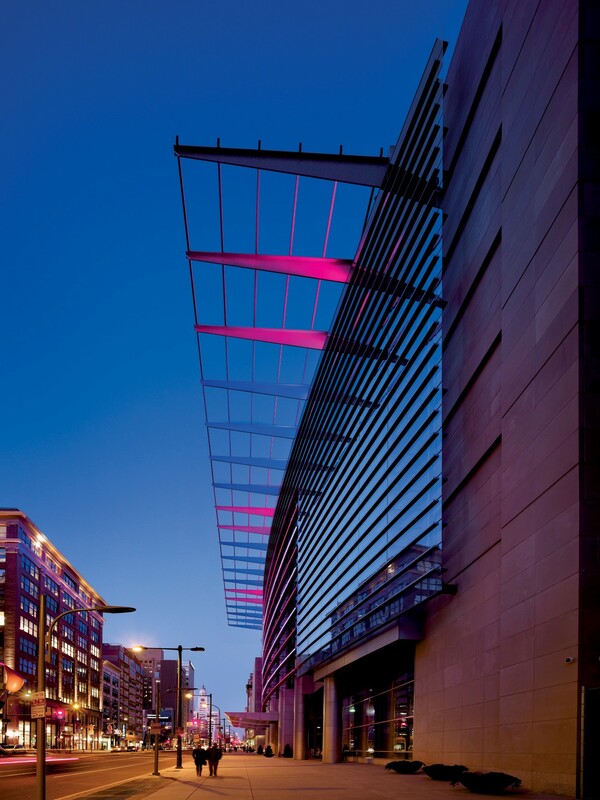 "They are very happy with the visual statement the canopy now makes," Hoppe reports. "It is visible for blocks in several directions."